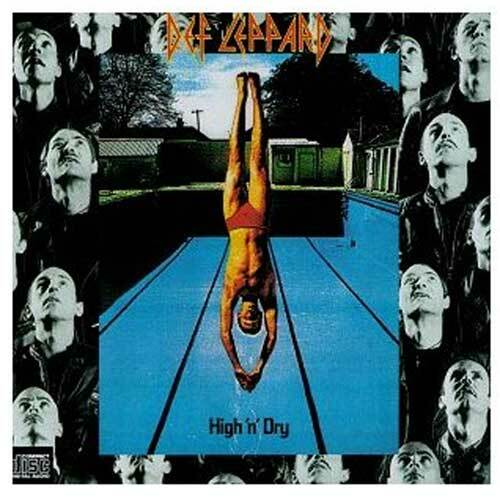 View Larger High 'N' Dry CD Although it's difficult to remember through the smoke of Pyromania, this 1981 album, the quintet's second, hoisted Def Leppard to the apex of the New Wave of British Heavy Metal. Building on raw metal anthems, the band adds subtle melodic touches, catchy guitar riffs, and simpler lyrical themes. Producer Mutt Lange, a longtime associate of AC/DC, absorbs these pop-oriented changes without severely blunting the metal edge. While the album foreshadows Leppard's multiplatinum success, it also retains the aggressive power and rough-edged distortion of heavy metal. The power ballad "Bringing on the Heartbreak" ushered in a style that would come to define 1980s metal. Although later albums showcase well-crafted songwriting and glossy production, this one catches Leppard at the peak of their true metal years.